Enterprise remote control allows you to connect to computers from anywhere. If it is on the Internet, you can get to it. Best of all, there are no monthly fees, and no third party network - you run the entire system on site. Easily find users by their windows logon name. Never again will you need to ask for IP addresses, or have people open firewall ports to get to a machine. 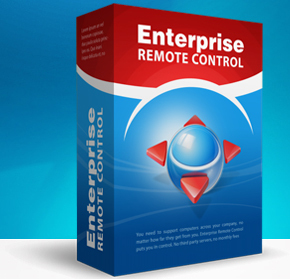 Enterprise Remote Control was crafted from the ground up to support Windows Vista 7,8, and Windows 10. Its smooth operation during UAC prompts will save you time. Have an older version of windows? No Problem. Remote Control works like a dream on XP, 2000 and 2003.